I am a working ceramic artist in Des Moines, Iowa. 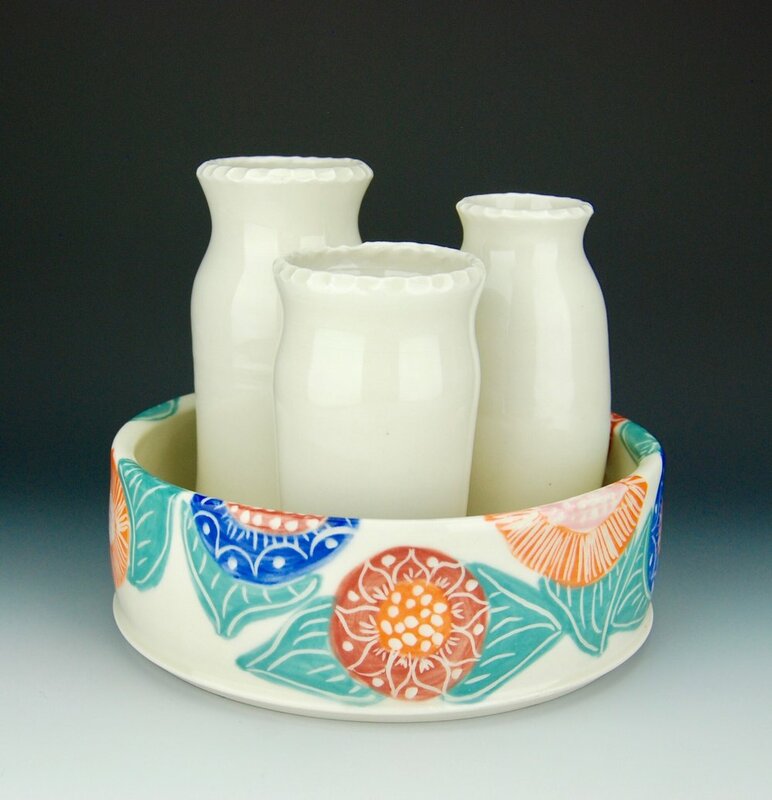 I make elegant, brightly patterned functional porcelain pottery. 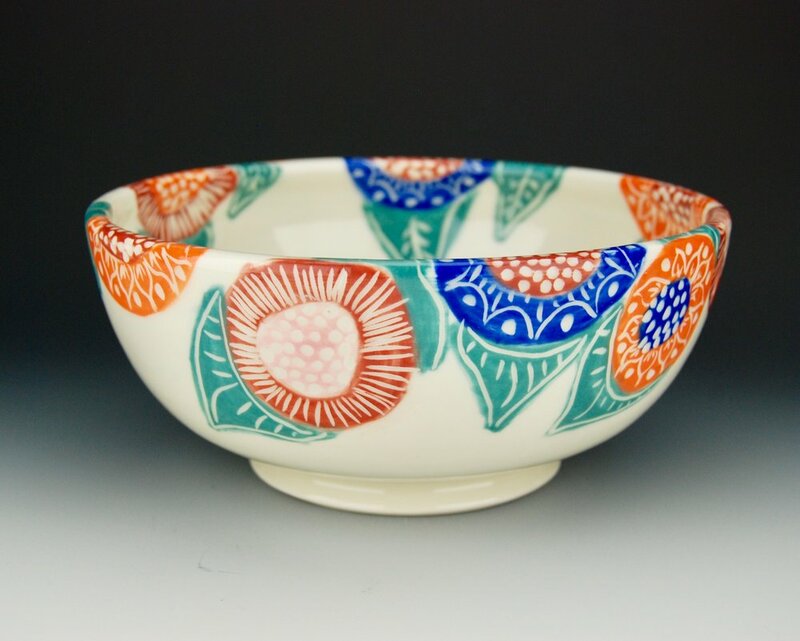 All of my work is handmade on the potters wheel and hand decorated using my own designs in a method called sgraffito. 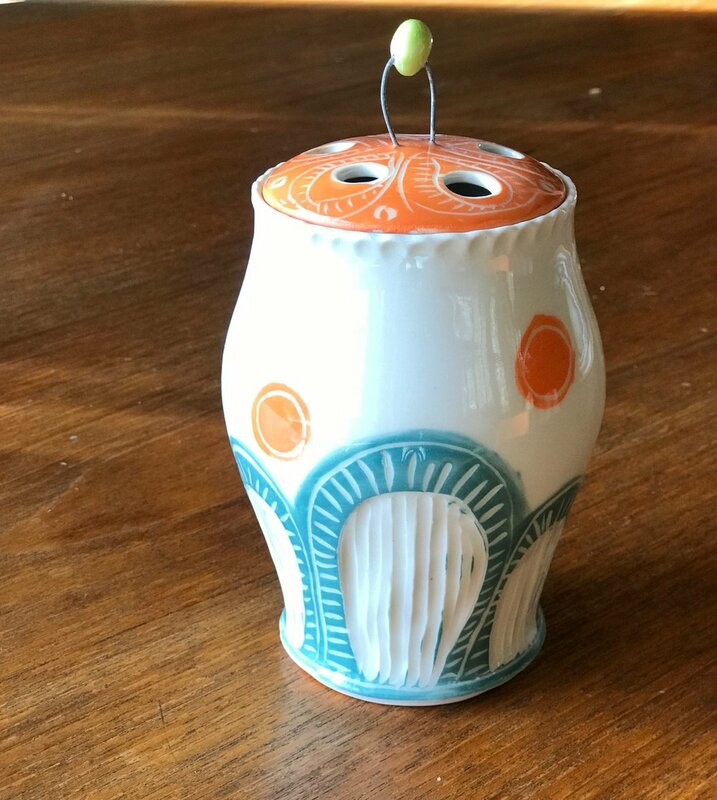 Sgrafitto is an Italian method of decorating where a colored slip or underglaze is a applied and then carved through to reveal the clay beneath.